Member Login | Need ﻿help﻿? M4 Insider is our flagship product that delivers highly-vetted off-Wall-Street 'money' resources — our endorsed people, ideas, and programs outside the mainstream to help you Make, Manage, and Multiply your Money in unique and uncommon ways. Our Journal entries, delivered several times per month, will keep you in the loop on the status of our sought-after listings — what’s new, what's changed, what’s happening in our niche universe of alternative investments and proven profit opportunities. minus a 50% “tire kicker” fee). To save you from receiving renewal notices — and to ensure that you’ll never pay more than the rate shown to the left — your subscription to M4 Insider will automatically renew to the billing credit card (or PayPal account) at the end of each subscription cycle. You can terminate these auto-renewals at any time by logging into your CustomerHub or by contacting us. This auto-renewal benefit does not obligate you in any way. You’ll still have 60-days to review M4 Insider, 100% risk-free (details). Do you have more details for me about M4 Insider (M4i)? This 5-minute video tour gives a solid overview of the layout of M4 Insider (Barry references the "Platinum" membership, but see the next Q&A below about that). But, the written version is that M4i is the private place — a members-only secure online vault — where we deliver and archive our premium research. 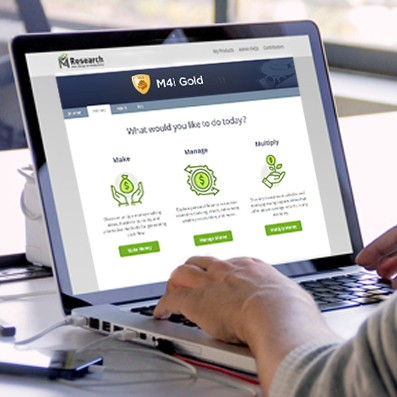 M4i is an "money research" membership club that essentially acts as an ongoing / updated ROLODEX of unique and uncommon investment vehicles, cash-flow programs, tools, resources, ideas, and contacts the public-at-large is rarely privy to. ​We specialize in sifting out and doing due diligence on alternative investments — those that offer higher rewards, higher yields, and higher risks. ​We also spend time finding and writing about wealth-building resources, tools, and contacts that fall under a traditional asset class umbrella... if, and only if, what we come across helps our members gain a significant edge or has proven to provide abnormally positive RESULTS. What is the difference between the Gold & Platinum M4i memberships? Sometimes we make public a non-subscription pricing offer. It gives our best subscribers, our most loyal Gold members, the ability to upgrade to a lifetime membership. With a Platinum membership, a member gets everything we have ever published (and ever will in the future) for a one-time upfront investment. That investment, which negates any ongoing subscriptions or rebill cycles (including instantly releasing some of the time-released content that is tied to a Gold membership), retails for $699 USD. At this time, our Platinum membership is only available to Gold members who desire to upgrade after their 60-day guarantee period ends (see right side bar above). Do you let politics affect what you research and list? The uniqueness of M4 Insider is in being a private listing of usable ideas and actionable opportunities. We're in the business of PEOPLE, not politics. Being immersed in the latter would naturally gravitate us toward limitation, anxiety, and fear. The former brings about possibilities, confidence, and the courage to take a chance on the value that life (as expressed through people) has to offer. ​Right-minded, possibility-thinking PEOPLE run companies, solve problems, sell things, and produce greater returns for those around them. The movie Atlas Shrugged makes that evidently clear when you watch it. ​So while we do occasionally share research and resources that show political incompetence in action, as well as other related stupid human tricks that stall out initiative, value, and achievement, we don’t let politics turn us into Chicken Little investors. Does your system work regardless of where someone currently lives in the world? M4 Insider (M4i) is not a system, per say. It's an ongoing, carefully monitored and updated archive of financial information, tools, and resources. Since 2009, we've guided investors how to grow, protect, and save their money outside the confines of traditional investments (however, we also include many traditional investment resources, too). M4i absolutely works for anyone anywhere in the world — we give access to U.S. AND non-U.S. money-growing ideas and tools. We like to be realists here. Also, we're straight-forward, accountability-based teachers and investors ourselves. That said, the only thing we can truly guarantee is that we promise to thoroughly research and pass along unconventional passive-income opportunities, cash-flow strategies, and wealth-generation programs across the globe. If you give our membership an honest try, by giving yourself the time to implement the information and programs presented, and still feel that you can't make back much more than the cost of your one-time membership fee (it lasts for life), you can request a refund if you send in a support ticket explaining why.